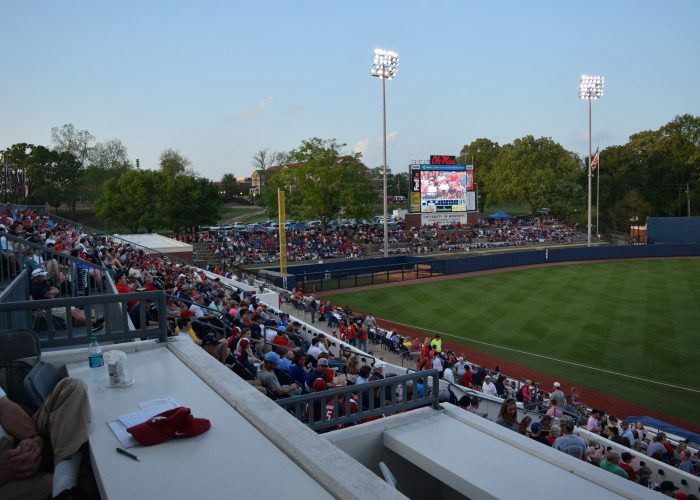 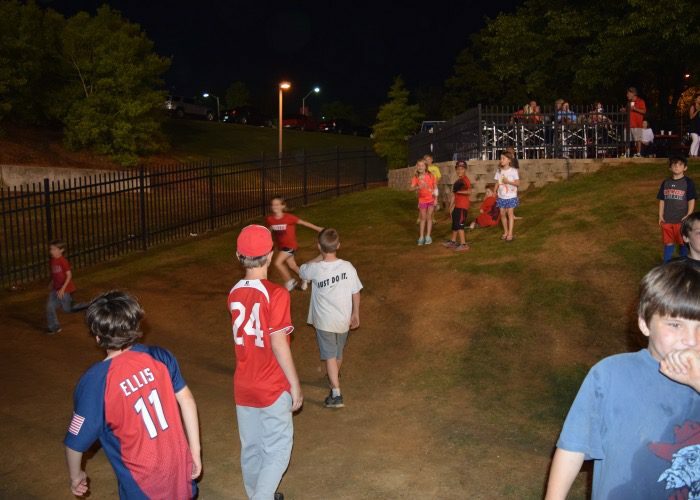 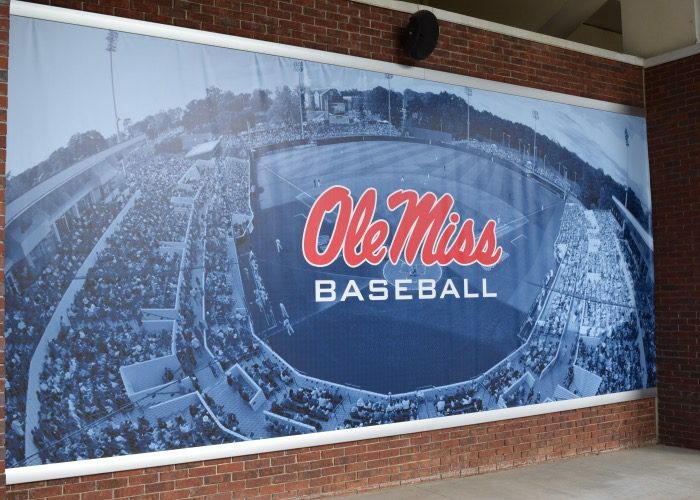 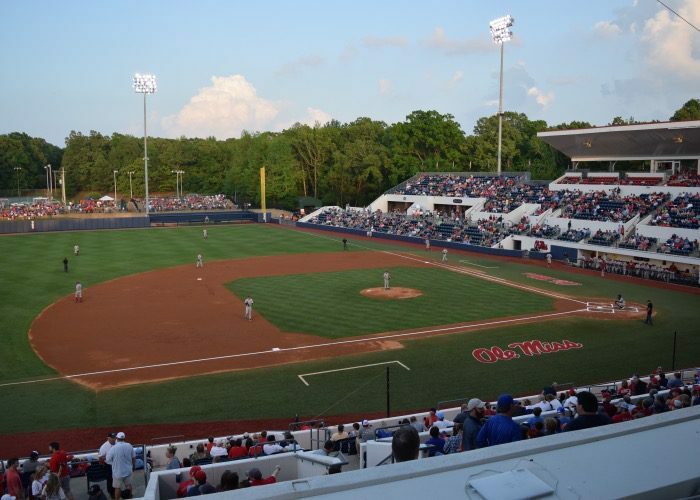 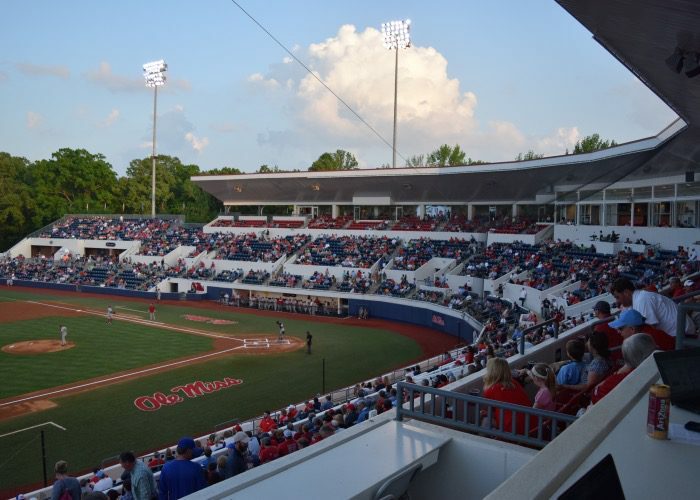 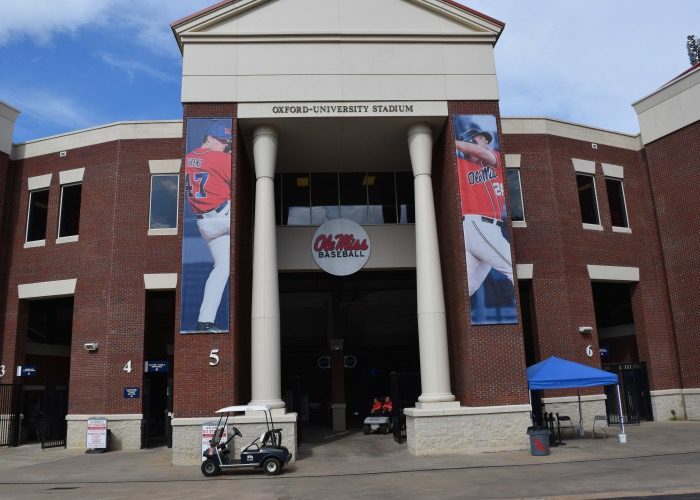 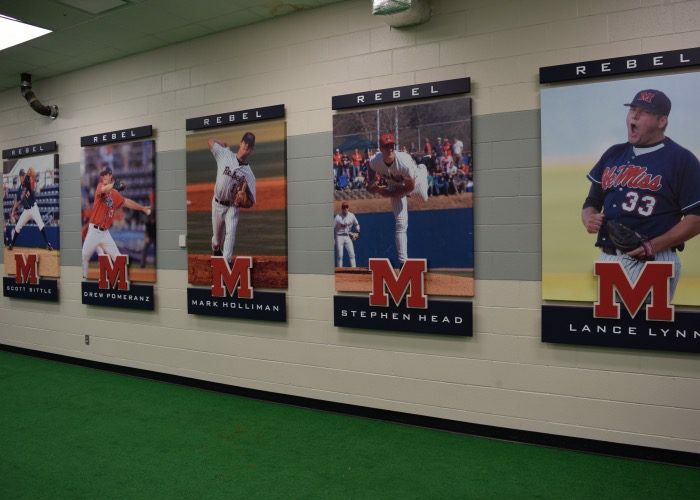 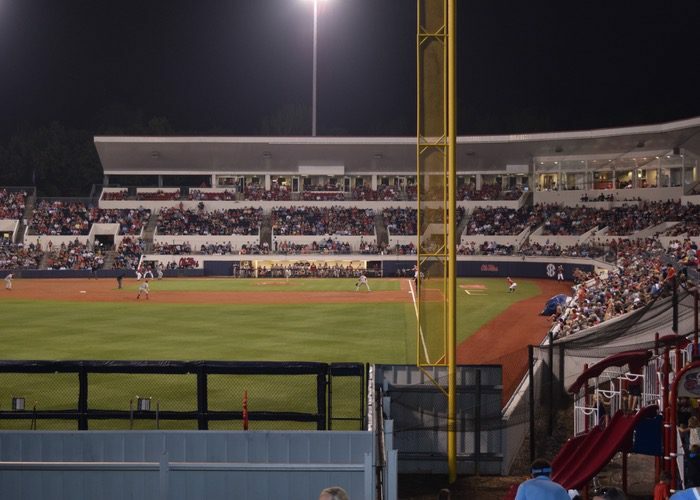 The second installment of our Ballpark Tour series takes you to Oxford-University Stadium at Swayze Field, home of the Ole Miss Rebels. 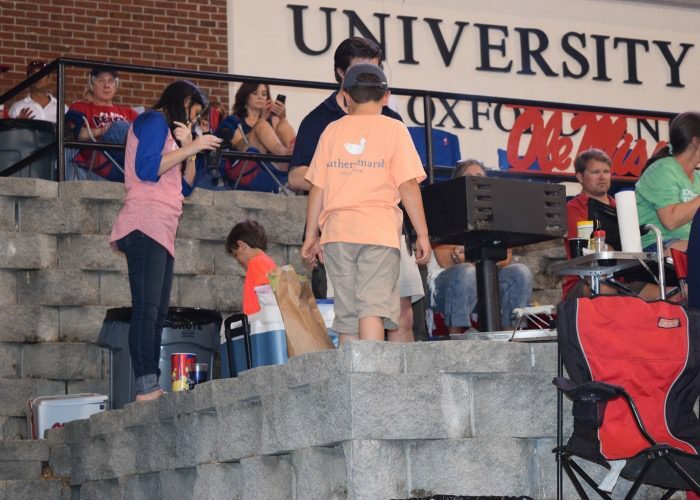 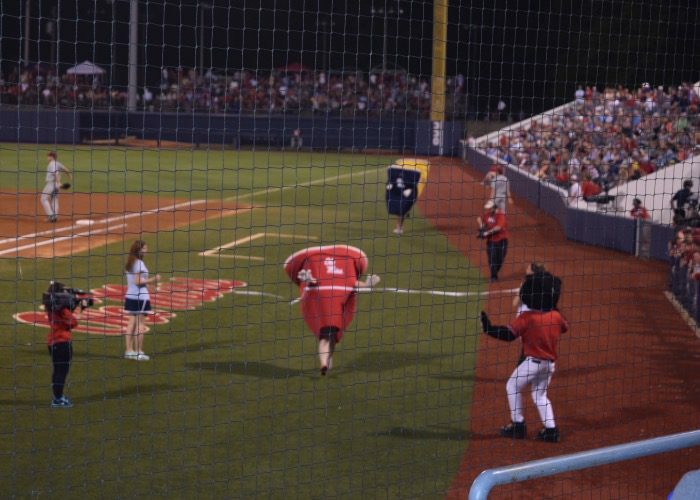 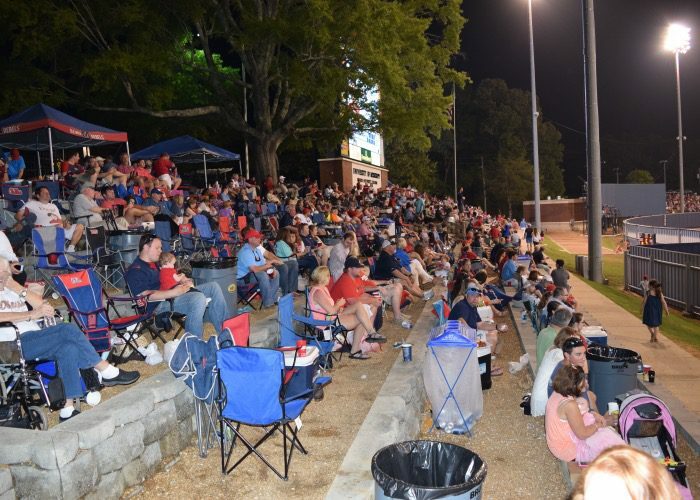 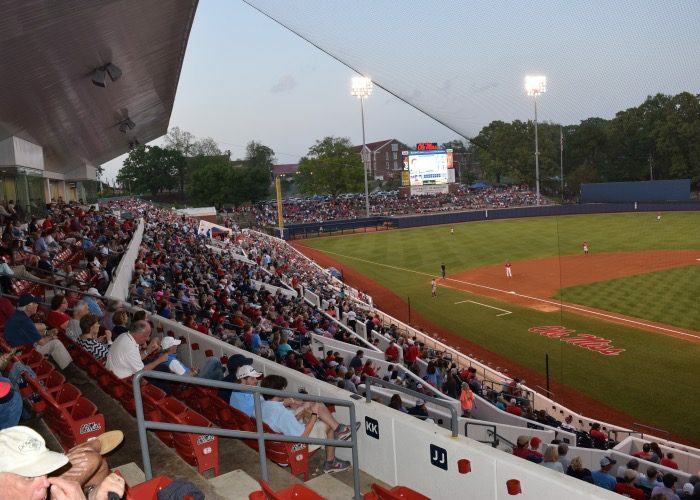 I took in a pair of games in Oxford this weekend, enjoying perfect weather and the largest crowd of the season on Saturday night — 10,119. 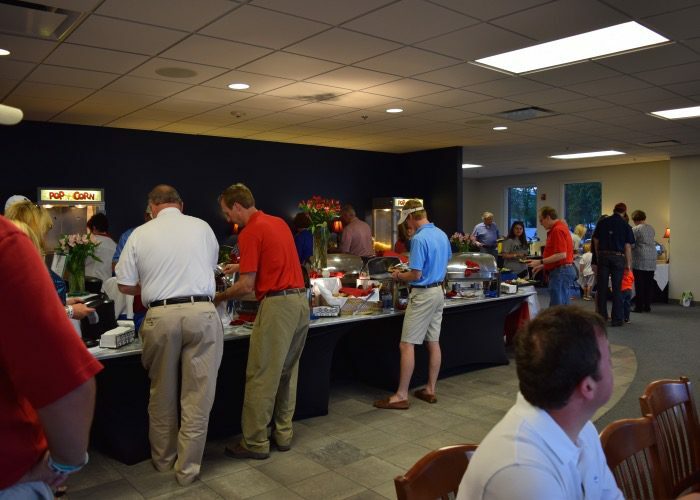 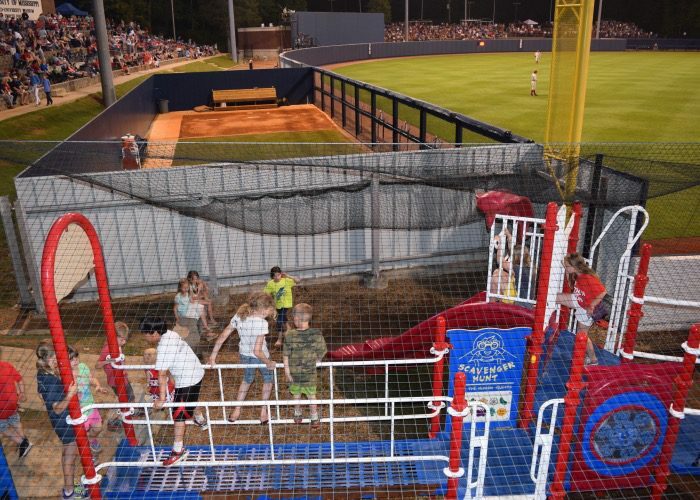 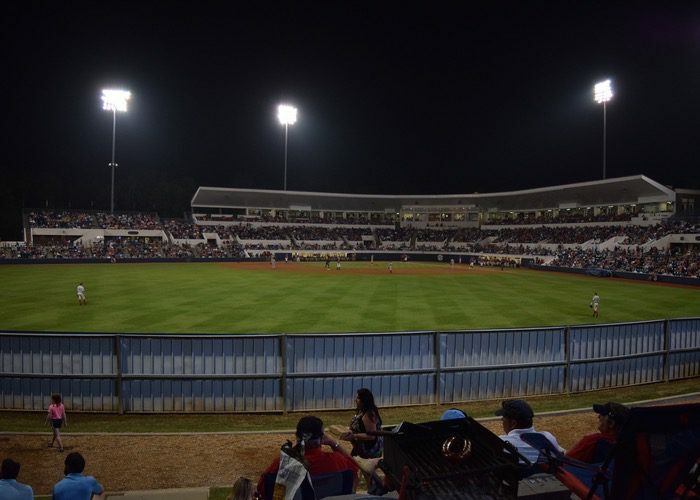 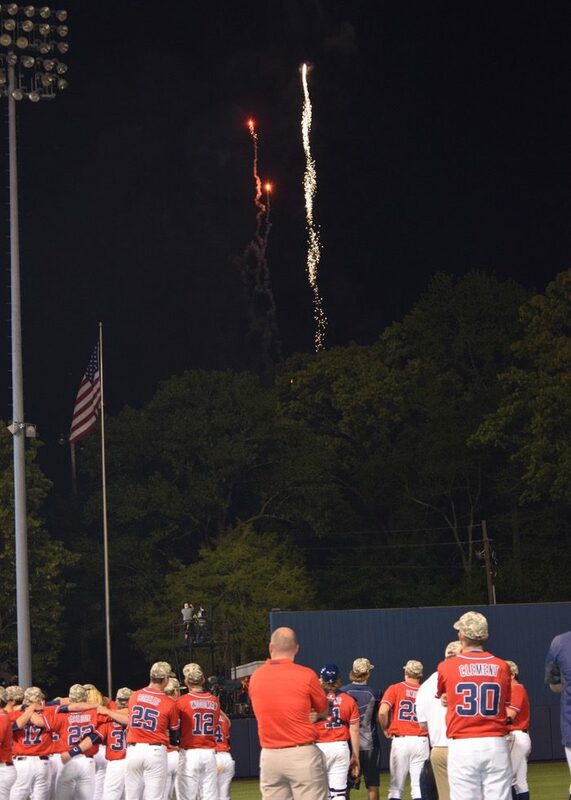 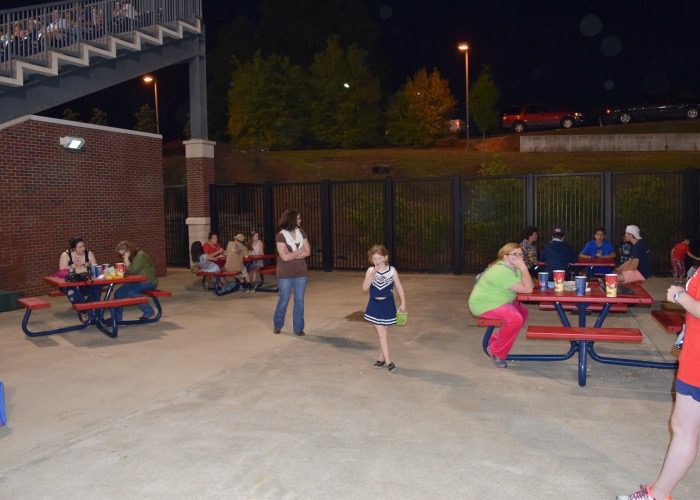 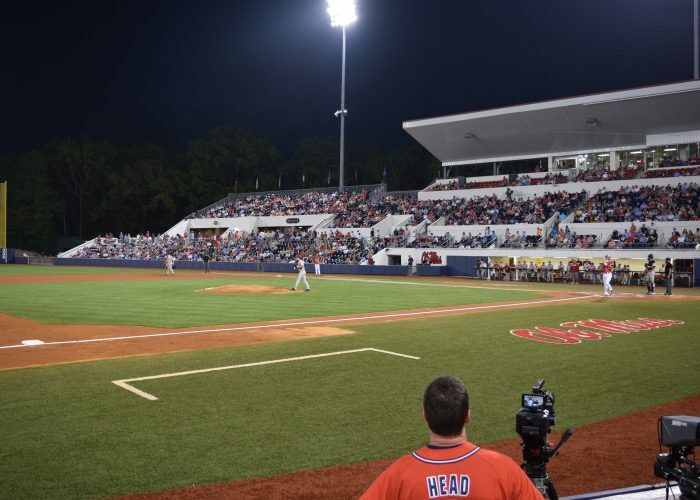 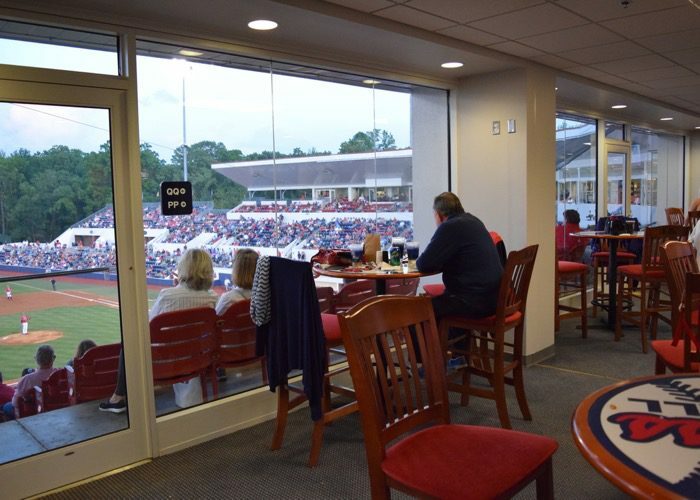 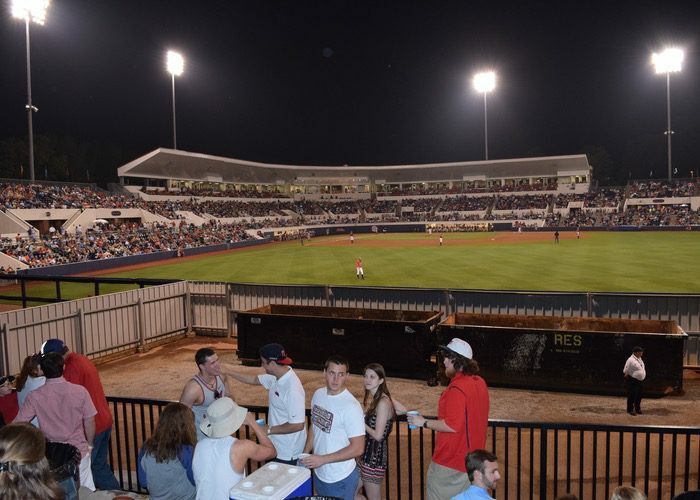 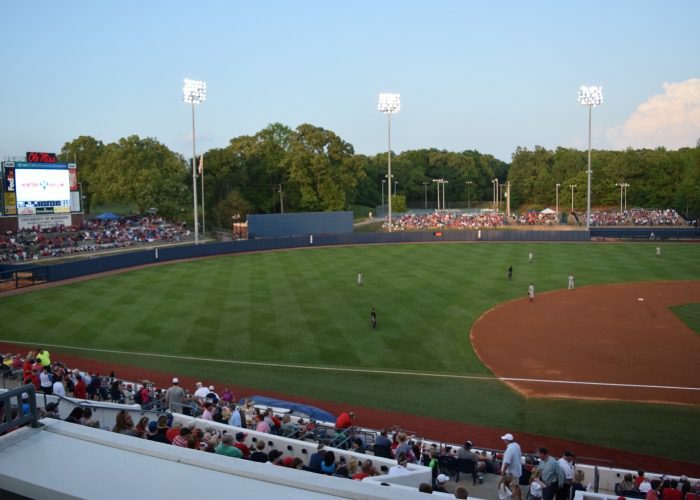 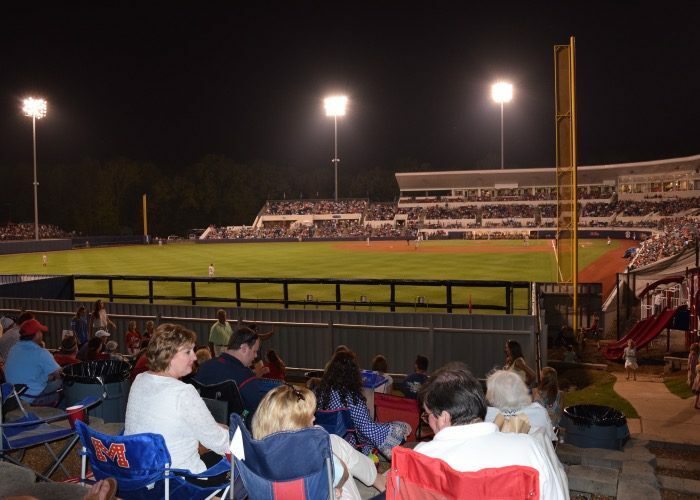 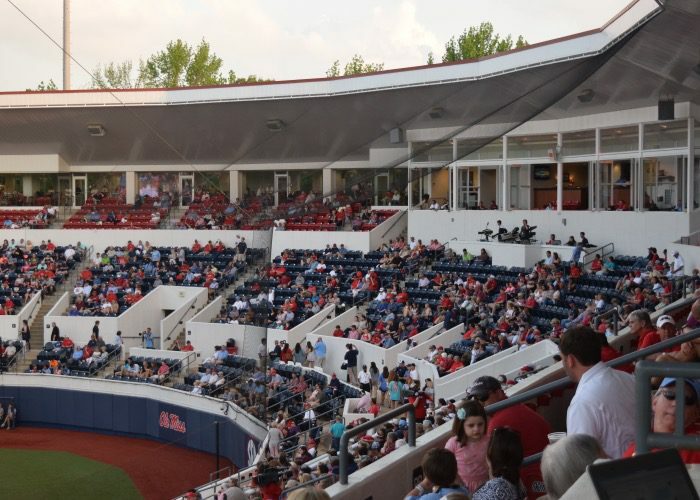 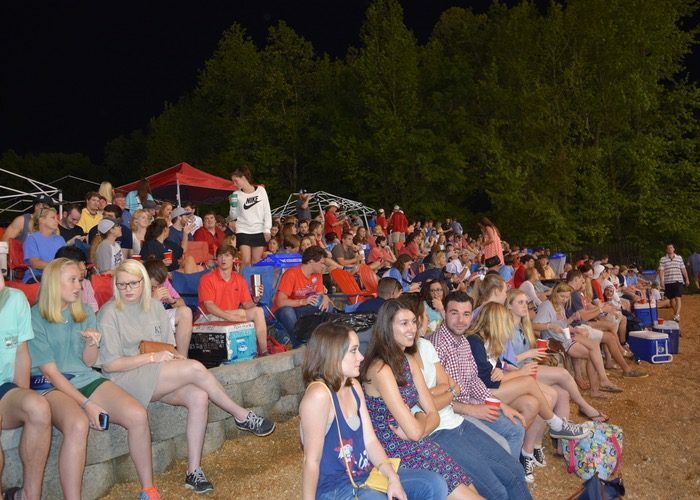 The setting at Swayze is simply gorgeous, with lush greenery surrounding the stadium and two fantastic outfield seating areas — a family-friendly side in left field, and a student section in right field (where students can bring in their own coolers and beer flows like water). 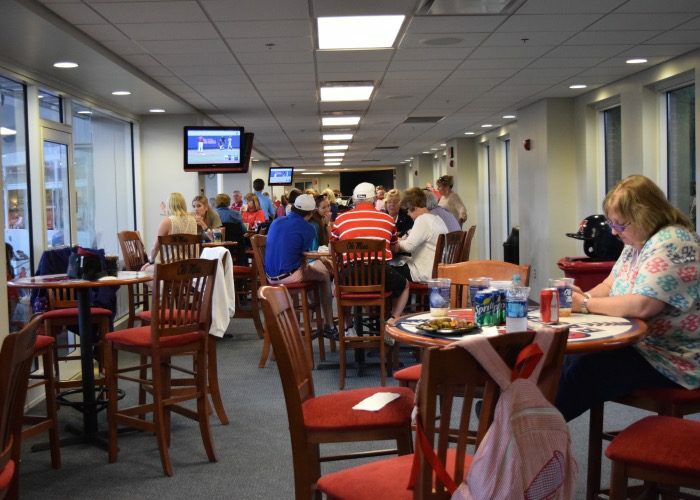 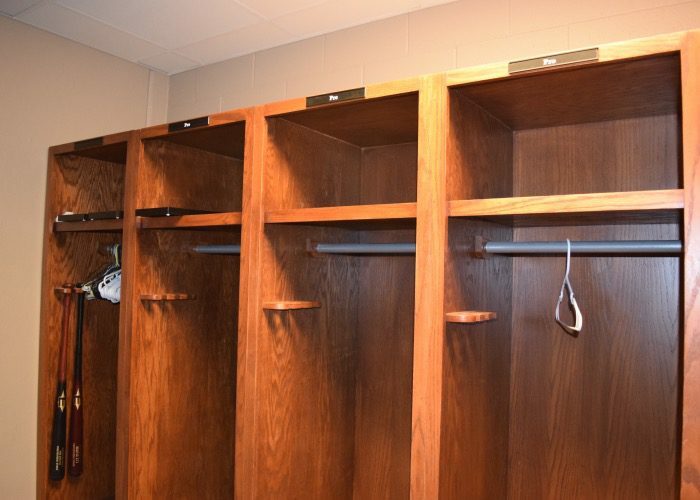 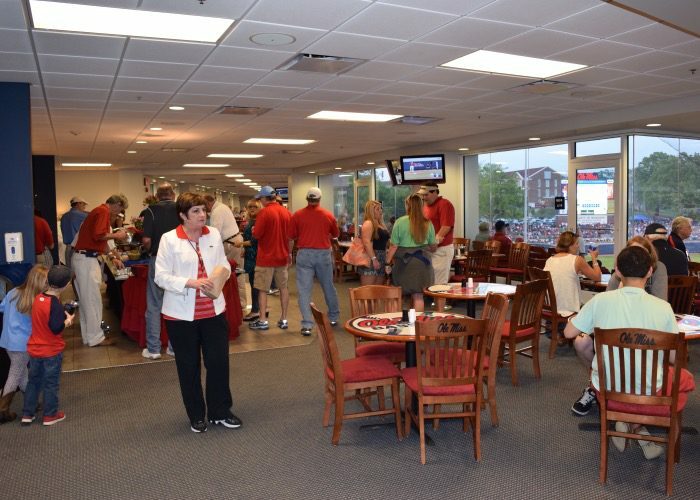 In addition to those two distinct areas of the park, there is an incredible suite and club level for the high rollers, and the blue lower-level seats for the true baseball diehards. 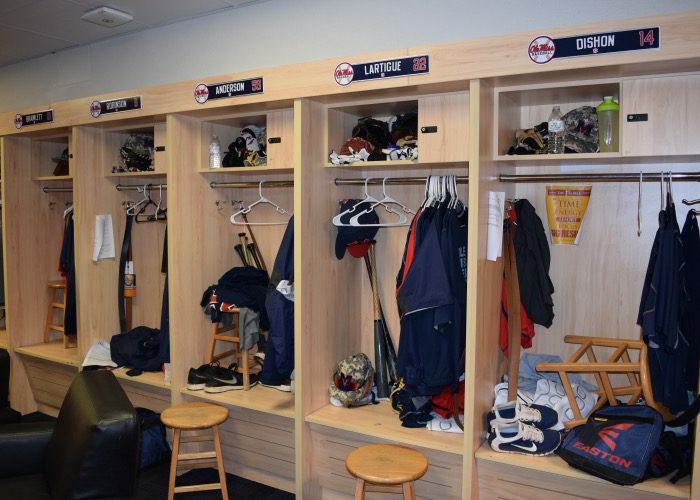 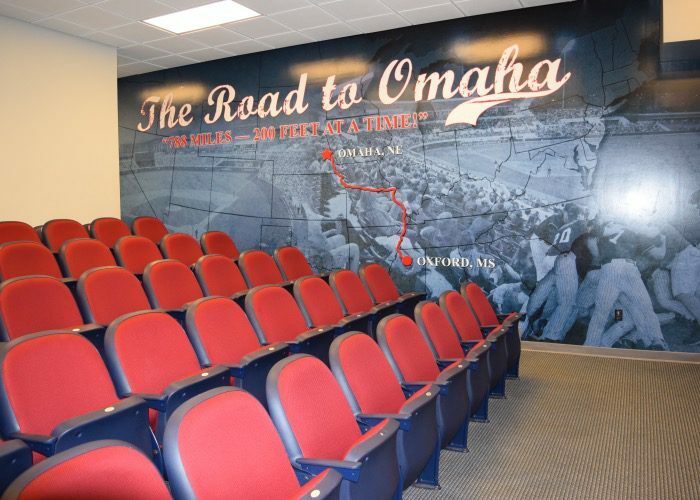 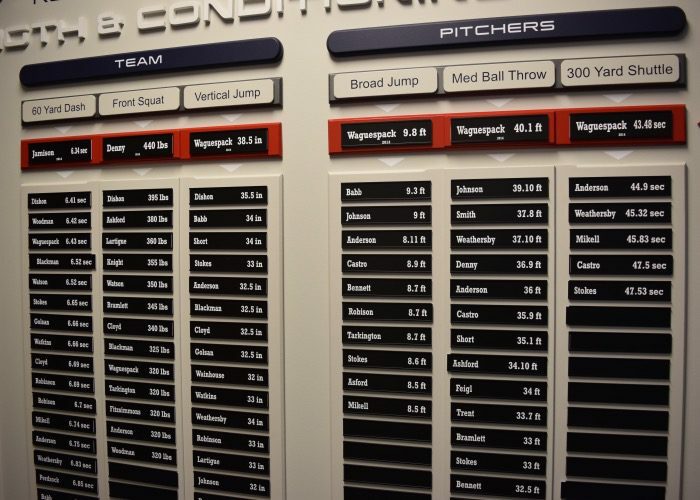 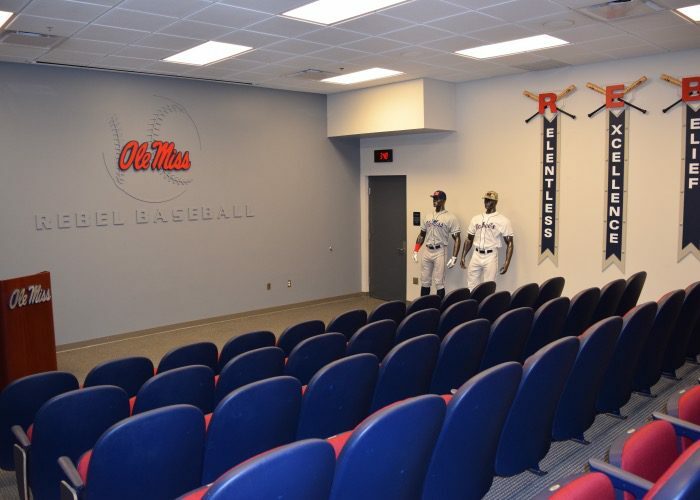 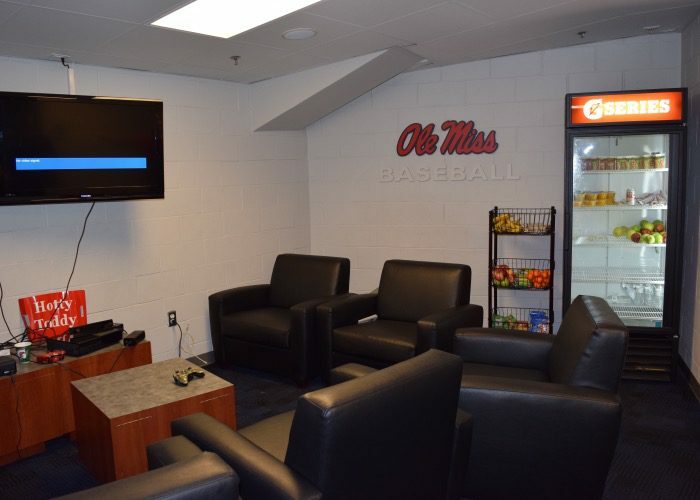 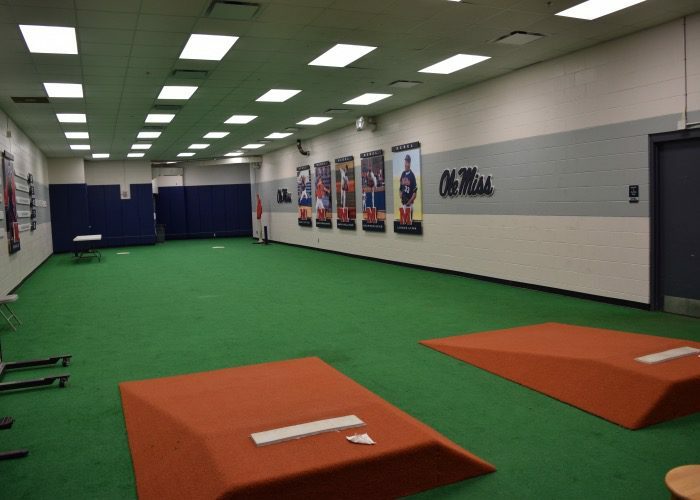 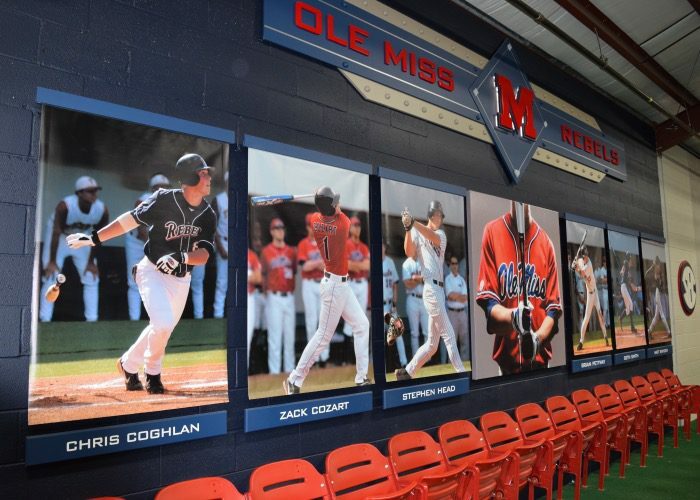 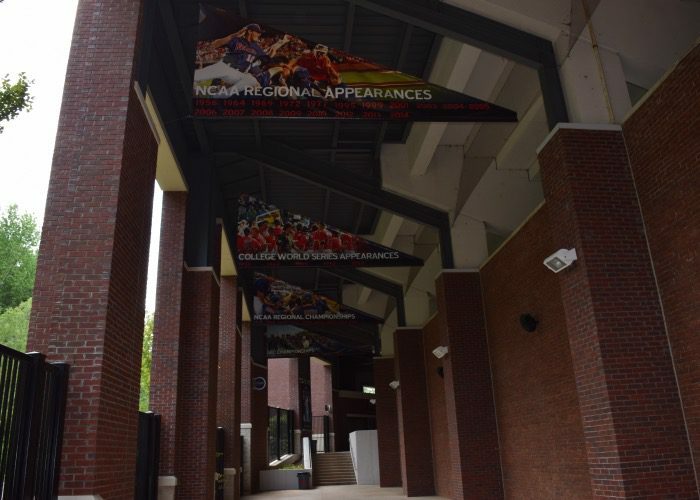 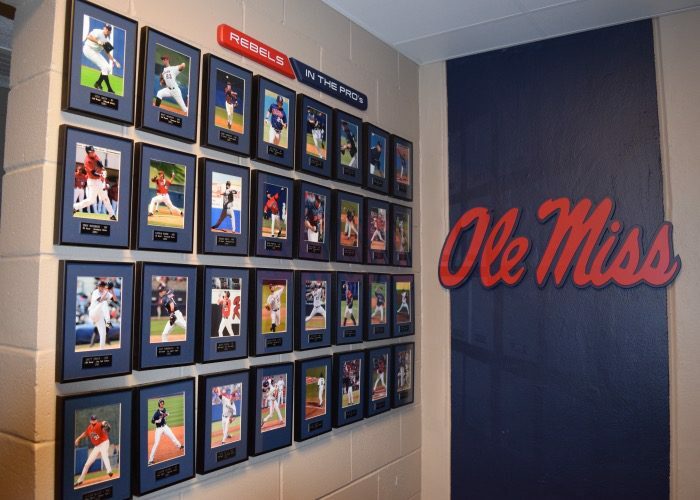 As Ole Miss coach Mike Bianco put it, there’s something for everyone. 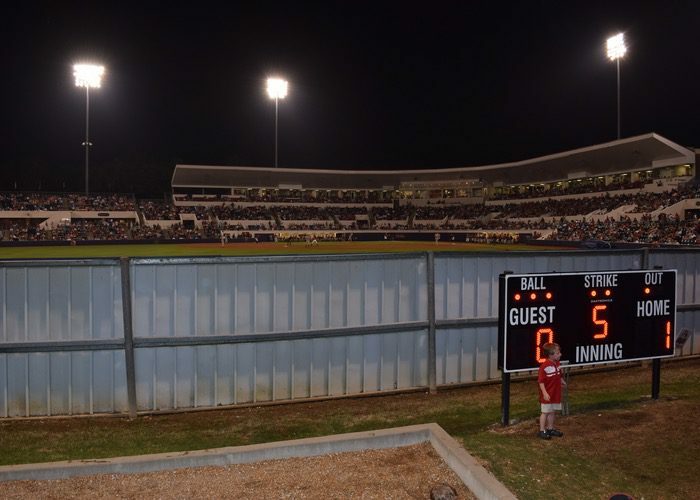 It makes for a truly unique college baseball experience.